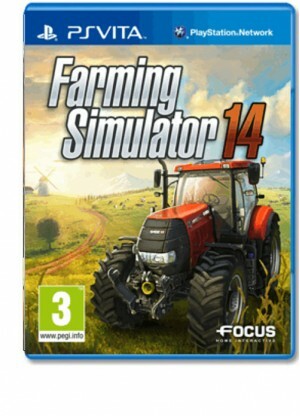 Farming Simulator 14 invites you into the challenging world of a modern day farmer. Take on all the challenges of farming life, including animal husbandry (cows), crops, sales… it's up to you to manage and grow your own farm in a huge open world. As your career progresses, you will have access to a huge selection of farming vehicles and machines, faithfully recreated from the biggest names in the industry. With a deep and powerful simulation experience, a large open world and a huge fl eet of vehicles including brand new machines, Farming Simulator 14 invites you aboard the largest farming simulation ever created!